Prepare for a bit of frost this Tuesday evening! 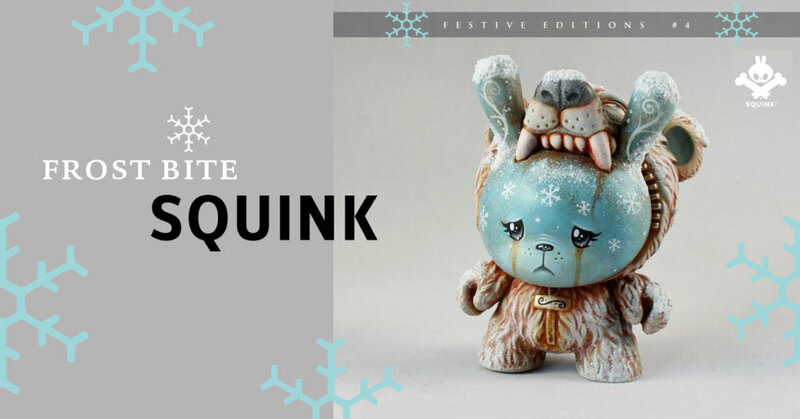 Frost Bite bear is the final custom Dunny in the Festive editions release by Chris Squink. This time using the Mishka ‘Keep Watch’ Dunny as a base. A custom 3inch Kidrobot Dunny, lovingly hand painted in a home studio using acrylic paint and inks, with a clear coat for protection. As always the Dunny comes packed in a beautiful branded protective gift box. Signed on the foot. With snow textured parts. Frost Bite Dunny will be released in his store on Dec 11th, this Tuesday evening, at 8pm BST. (3pm EST/ 12pm PST). Priced at £ 74.95. There is just one available.